Today I was treated to breakfast in bed. I received flowers, tea and chocolates, lots of cuddles, and the mini french press for coffee that I’ve been coveting for a while. Then I lay in bed with my book, my laptop (so I could write my post for my Mum) and a cup of tea for an utterly indulgent extra couple of hours. I had to get up in the end because the amazing smells that were drifting through the house as Adam cooked up an Anglo-Saxon feast for lunch were making my tummy rumble. We sat on the front deck for lunch with the sun filtering down through the tree branches and the occasional leaf falling into our plates. We mostly don’t get proper autumn leaves here in Sydney, they just go vaguely yellow-brown and fall off. Lunch was an Anglo-Saxon feast. Afterwards I took my camera into our front garden to capture the little bits of autumn colour we do get. 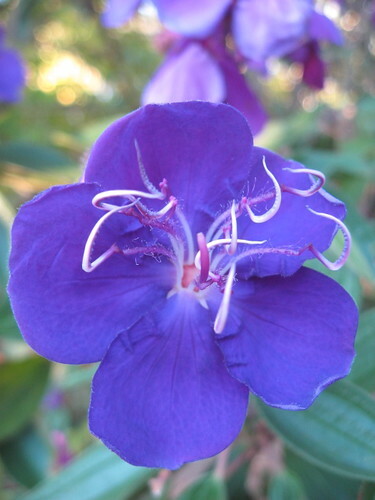 Our tibouchina trees are in bloom with masses of purple flowers. The bees are making the most of the last few grevillea flowers. I hope all you wonderful mums out there had a fantastic Mother’s Day. I’ve been thinking of those for whom Mother’s Day is a difficult time, I hope for you that there was kindness and love in your day from the people around you and possibly chocolate too. Happy Mother's Day Mim. Sounds like you had an excellent day. That Anglo Saxon feast looks lovely. 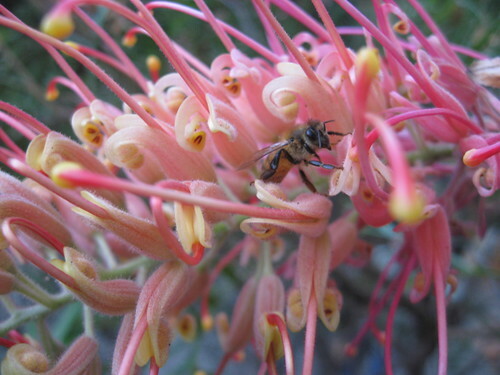 I also really love your grevillea photo, they are one of my favourite natives. Lovely photos!! Happy Mother's day to you. That's a feast fit for a Queen!!!! Happy Mother's Day to you!!! Happy mother's day. Lovely photos. Holy smokes, Mim, that lunch looks utterly delicious! Glad you had a great Mothers Day. 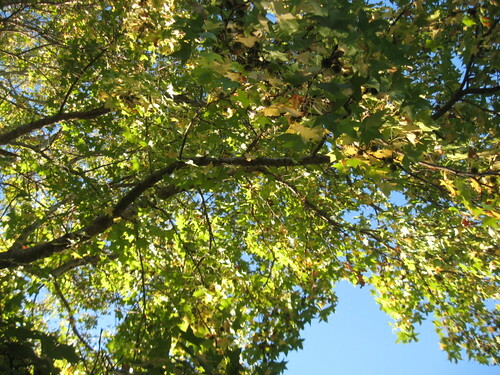 Now that you are looking at the trees turning their leaves brown, I am so happy that here in my hemisphere, they have just sprung with green 🙂 Have a great day. Oh, oh, oh– Your photos are wonderful and your day sound divine! Looks like a terrific Sunday in your city! Great shots of the flowers…. but all that food….Looks DELISH!! What a great day you must have had. Of course it's well-deserved! Feast and feast of flowers. Beautiful pics, Mim!!! A lovely day for a lovely mama! You take the most fantastic pictures of flowers. I'm glad you were given the royal treatment for Mother's Day! THe picture of the pink flower and the bee totally captivates me…I've been staring at it for the last two minutes! I'm glad you had a great Mother's Day. 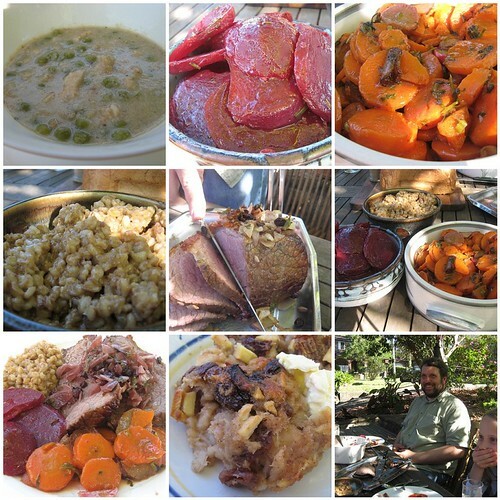 Hats off to Adam for cooking such an awesome meal…looks totally delish. Great to see you had a great mother's day.